Photo Facials are a light based procedure that removes the signs of sun damage such as sun freckles, or vascular lesions, uneven pigmentation and superficial wrinkles from the surface of the skin. Dramatic improvements can be accomplished with no downtime and minimal discomfort. We all want clear skin, but nature has a way of sabotaging us with frustrating imperfections. You don’t have to live with these imperfections! Photo Rejuvenation (IPL or Photo Facials) remove your pigmented and vascular lesions as well as improve your skin texture and tone with quick and easy treatments. Photo Rejuvenation commonly referred to as IPL (Intense Pulsed Light) helps to rejuvenate the skin, stimulate collagen production, and reduce the appearance of fine lines and wrinkles. Photo Facial technology, a type of Photo Rejuvenation uses lasers and Intense Pulsed Light to also remove skin imperfections. 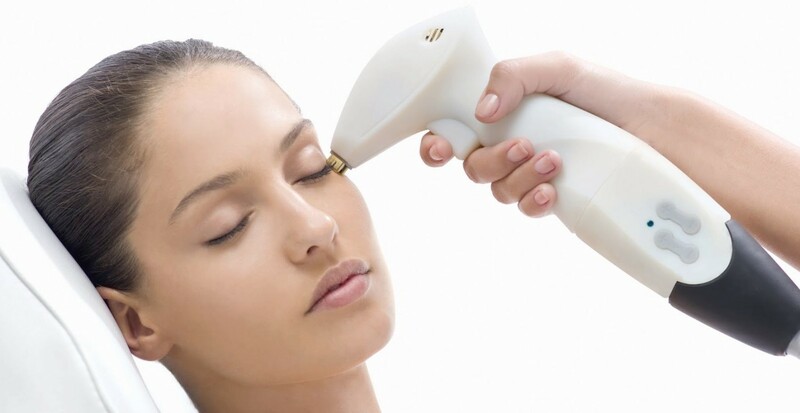 What Skin Problems Can Be Treated With IPL? RED spots and vessels.Broken capillaries, capillary haemangioma (also called cherry haemangioma), red vessels at the corners of the nose, and the flushing redness of rosacea are the most common examples. BLUE spots and vessels.Nasal veins are by far the most common example of blue skin lesions that IPL can treat successfully. BROWN spots and freckles. Sun spots, sun damage, and naturally occurring, long-standing, and unchanging freckles can be treated with IPL. Dark spots or patches that are not from sun exposure (hyper pigmentation), and freckles that are new or changing in appearance should never be treated with IPL, they should be examined by a physician. Photorejuvenation is a skin treatment that uses lasers, intense pulsed light, or photodynamic therapy to treat skin conditions and remove effects of photo aging such as wrinkles, spots, and textures. Photo rejuvenation reverses the effects of UVA and UVB. In a series of IPL treatments, the texture of your skin will gradually improve, decreasing redness, broken capillaries and also lighten dark spots on your skin. You may also notice that your pores may appear tighter and fine lines may dissipate after your photo facial. IPL uses specific wavelengths of light in pulses of differing intensities that target melanin in sun spots and tanned skin, as well as hemoglobin in vascular lesions like broken capillaries, rosacea, and nasal vessels. The absorbed light causes just enough damage to these cells that the body will generate a healing response that results in the spot being reabsorbed by the body. Freckles and sun spots will darken temporarily after the treatment (the darkening is a sign of adequate light absorption), and then slowly lighten or flake off after a few days to a few weeks. Broken capillaries can sometimes disappear after a single treatment if enough light is absorbed, but will usually require a few treatments to completely collapse the offending vessel. What Body Areas Can Photo Rejuvenation Treat? Any area can be treated, except directly around the eyes. The face, neck, chest, upper back, arms, hands, legs, etc. can all be treated quickly and safely. What Are IPL Treatments Sessions Like? Quick and easy! After your initial preparation, your treatment provider will move the intense pulsed light hand piece over your skin. The hand piece emits a light that breaks up the pigment in the lesions. Most people perceive the light as a gentle “snapping” sensation, which causes little to no discomfort. Following treatment, your skin may feel mildly sunburn for several hours. How Many Photo Facial Treatments Do I Need? The average is five, usually one treatment every three weeks. Clients with brown or pigmented skin will notice a significant change after two treatments. Clients with reds or flushing will notice a significant change after three treatments. The final two or three treatments will continue to improve the colour, texture and pores of the skin. IPL or Photo facial works under your skin and doesn’t damage the top layer. You might have some redness which will go away 20-25 minutes after the procedure. Will I Still Accumulate Sun Damage After IPL Treatments? Yes, sun damage will occur any time you go in the sun. IPL treatments only treat sun damage that is present at the time of the treatment; they do not prevent future sun damage from occurring. Only sunblock and sun protective clothing can do that. How Long Does A Photo Rejuvenation Session Take? Generally a full face takes approximately 30 minutes to complete. Larger areas will take longer. Please note that IPL facial cannot be performed on skin if it has been exposed to sun or products containing vitamin A. During your initial consultation, we will provide with a series of pre-treatment instructions to help you prepare for your procedure and ensure beautiful results. For more information about IPL or Photo Rejuvenation for sun spots, freckles, and broken capillaries, please contact us online at https://www.lastinglooks.ca/contact to schedule a consultation or call our office at 416-234-2110. We’re looking forward to meeting you!